Size of this preview: 800 × 552 pixels. Other resolutions: 320 × 221 pixels | 640 × 441 pixels | 1,024 × 706 pixels | 1,228 × 847 pixels. 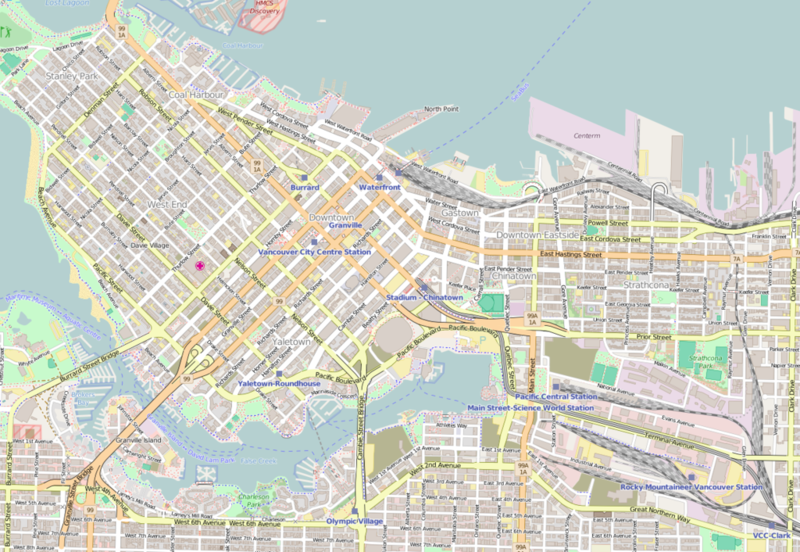 Map of Downtown Vancouver, British Columbia. 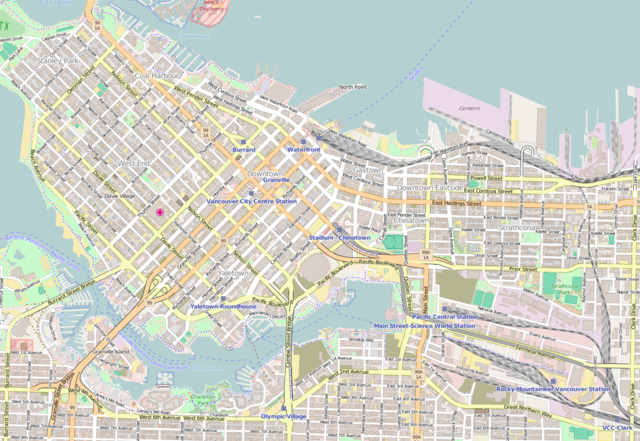 This map of Vancouver_(British_Columbia)_Downtown was created from OpenStreetMap project data, collected by the community. 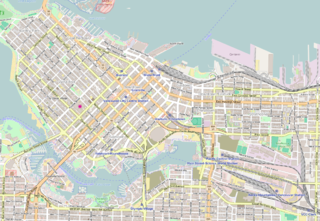 This map may be incomplete, and may contain errors. Don't rely solely on it for navigation.